"Poor James, just didn't know what he was doing"
On May 8th, 2009 FCER assisted the New Mexico Livestock Board with the seizure of 2 horses in Bloomfield, NM. 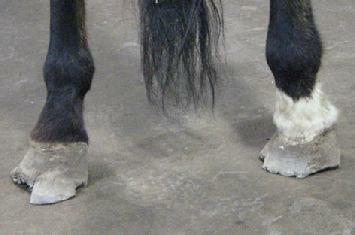 The horses were transported directly to Animal Haven Clinic in Farmington for assessment and emergency treatment. The owner was charged with animal cruelty. Old Son, an older bay gelding was diagnosed with a serious heart murmur, and scored a 1 on the Henneke Body Score chart. This horse should weigh 1200 lbs, and weighed in at 775. 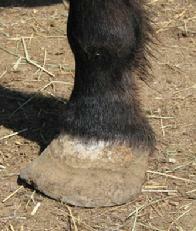 His feet were in terrible shape, and the prognosis did not look good. We decided to give him some time and see if Old Son could turn his life around. He did! Old Son has gained 300 lbs. in 3 months, and continues to improve. 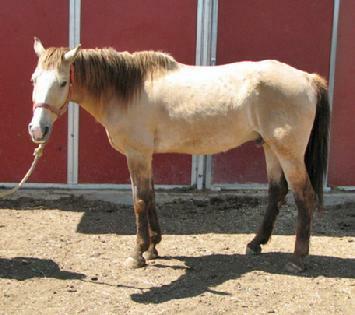 Mellow Yellow, the buckskin gelding, was in better shape, although still underweight with a body score of 2.5. The future looks good for this guy, and he should make a full recovery. 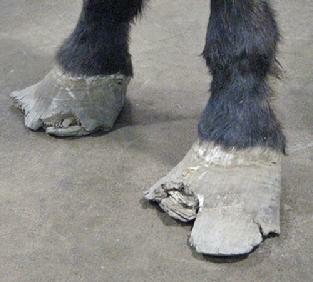 On July 21, 2009 the owner pled guilty to one count of animal cruelty in Magistrate court. He was sentenced to 1 year of probation and restitution. 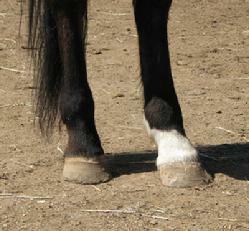 The horses now legally belong to Four Corners Equine Rescue. At court, one member of the defendants party was explaining to us that the owner just didn't know what he was doing, and that's why the horses got in such bad shape.